Customer required thorough knowledge of every product before they purchase that product. User wants to know complete information of product's functionality and features. Easy accessibility of this knowledge to customers could greatly expand product's sales. 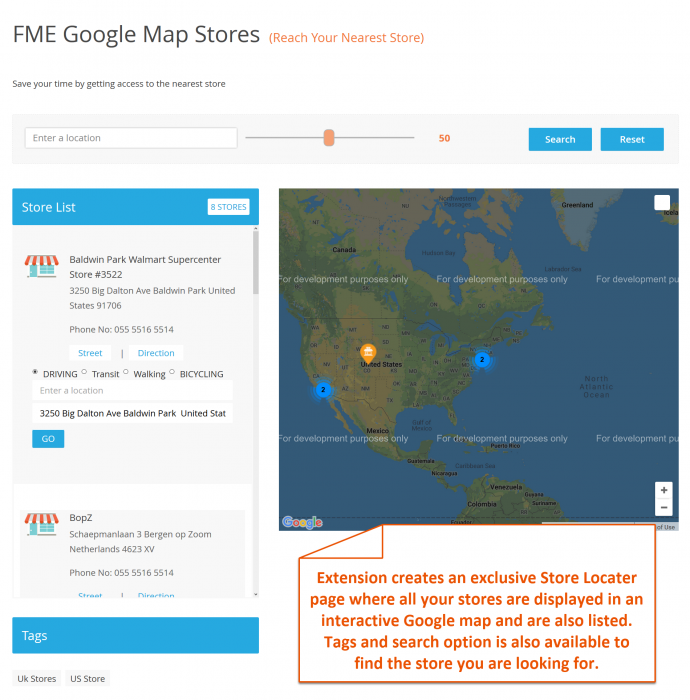 Advanced Google Maps is one such powerful extension that provides end user an easy way to find locations of physical stores which are near to their current locations. Customers can find the near-by stores immediately through auto-detect location and save their shipping or traveling costs.